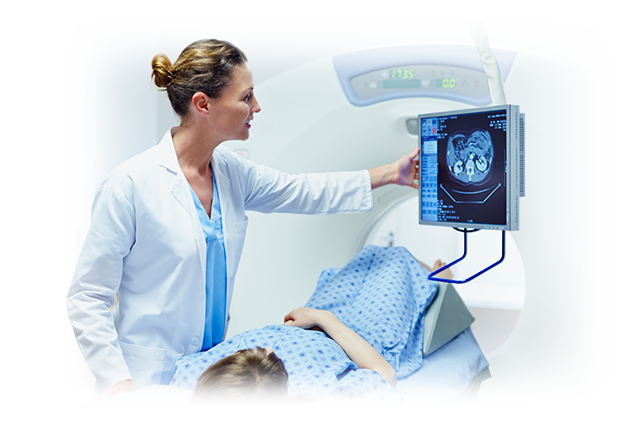 Connect and integrate facilities across multiple locations to provide a unified source of accurate imaging data, accessible virtually anywhere. During the first 15 months of its Clinical Collaboration Platform rollout, Servicio Andaluz de Salud saved €2 million. Ongoing annual cost savings are projected at 65 percent, and full return on the €6.5 million investment is expected in just over a year. Servicio Andaluz de Salud's nine different health systems lacked connectivity, preventing the enterprise from providing comprehensive care for the region. 500 TB of data was siloed in systems from different vendors, including Agfa, Siemens, Fuji, GE, Indra, IRE, Rogan and Telvent. 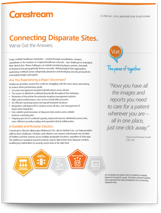 Download our case study PDF to learn more about connecting disparate sites. "Now you have all the images and reports you need to care for a patient wherever you are — all in one place, just one click away." Large, multi-site healthcare organizations and regional networks face the challenge of managing clinical data across technically and geographically diverse IT systems. As these enterprises have grown through mergers, aquisitions and consolidation, IT managers struggle to synchronize patient identifications, optimize workloads and integrate clinical data across different sites, technologies and archives. 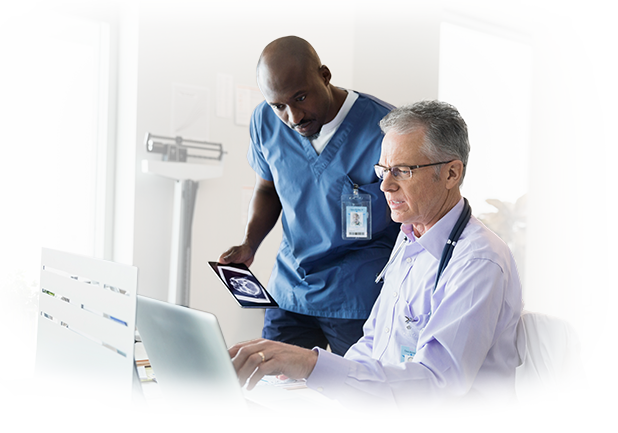 The Clinical Collaboration Platform is designed to remove barriers to effective teamwork between providers, patients, payers and administrators — no matter where they are located or what systems they use. 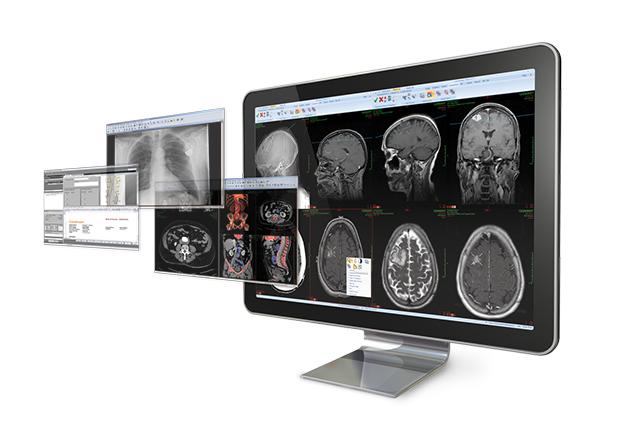 Unify existing archives to provide intelligent access to imaging data across each patient’s clinical journey. 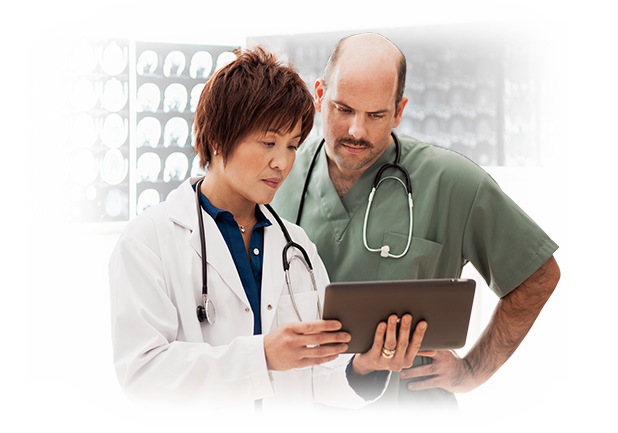 Provide visualizations that motivate patients to take an active role in their healthcare. Simplify and save with secure application and data management from a proven leader, on site or in the cloud. Increase productivity and diagnostic value with integrated, interactive reporting. Share images across technologies, departments, locations and networks. 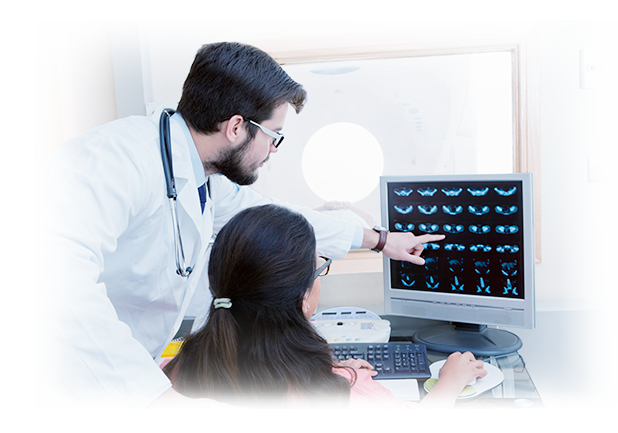 Embed clinical images directly within electronic health records for clarity and context.